For a sufficiently small field one may assume that the depth dose at a point is effectively the result of the primary radiation, that is, the photons that have traversed the overlying medium without interacting. The contribution of the scattered photons to the depth dose in this case is negligibly small or 0. But as the field size is increased, the contribution of the scattered radiation to the absorbed dose increases. 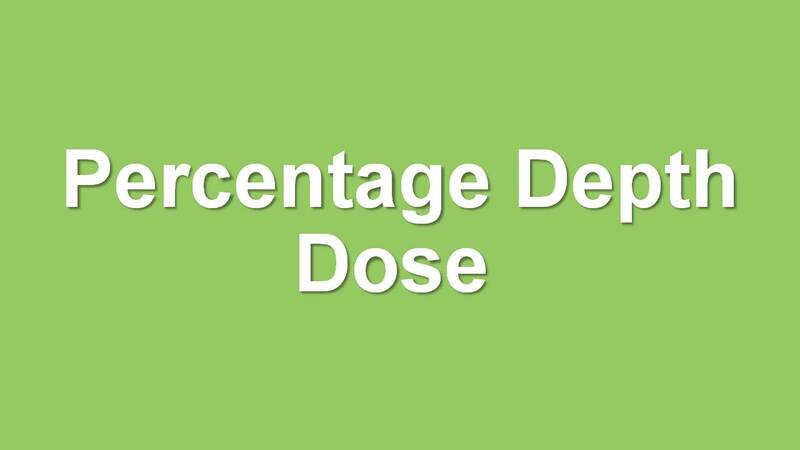 Because this increase in scattered dose is greater at larger depths than at the depth of Dmax, the percent depth dose increases with increasing field size. 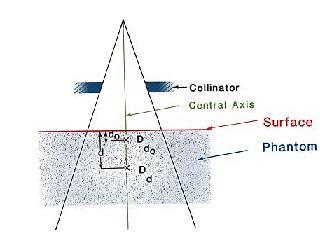 The increase in percent depth dose caused by increase in field size depends on beam quality. Since the scattering probability or cross section decreases with energy increase and the higher-energy photons are scattered more predominantly in the forward direction, the field size dependence of percent depth dose is less pronounced for the higher-energy than for the lower-energy beams. Photon fluence emitted by a point source of radiation varies inversely as a square of the distance from the source. Percent depth dose increases with SSD because of the effects of the inverse square law.